Our made-to-measure wood staircases are crafted using solid, premium grade hardwood, each piece hand selected by our carpenters for its stability and innate beauty. Jarrod Matthews, for whom the company is named, is a fellow of the Institute of Carpenters – an honour bestowed on very few. 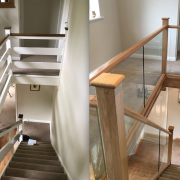 So when you commission a staircase designed and created by Jarrods, you couldn’t be in better hands. ‘Working with wood is a privilege,’ says Jarrod. ‘Each piece is unique, and demands something different from me as a carpenter. No two trees are the same, even if they grew from the same forrest. So in some ways, you never know what you’re going to get… But for me, this is what makes wood such a pleasure to work with. And for the customer, it means they get something totally unique,’ he says. Jarrods have forgotten more about wood than most will ever know, only using the finest, most ethically sourced timber. European wood is softer than American wood, and therefore ideal for fine work, such as crafting spindles and delicate patterns. 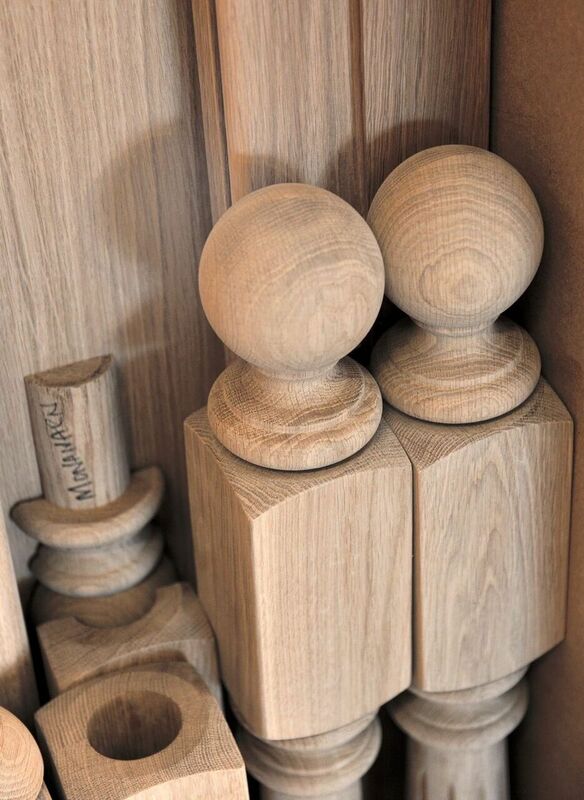 American oak – which we let grow until it’s at least a hundred years old – is harder and tougher, and is more suitable for larger pieces of work, such as handrails and treads. 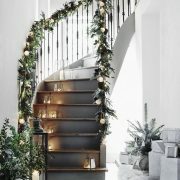 ‘Once we’ve found the perfect wood for your project, we can begin transforming it into the a staircase, one tailor-made for your home,’ says Jarrod. ‘We treat wood the with the reverence it deserves. By doing so, we can create beautiful, unique staircases that perfectly reflect the home that they’re in,’ he says. We celebrate wood here at Jarrods, which means we don’t consider the knots and patterns found within it as imperfections or defects. ‘Most of our clients love the natural, organic properties of wood,’ says Jarrod. ‘Like the whorls on the tips of your finger, each piece of wood is unique and has its own story to tell,’ he says. The silvery swirls seen often seen in premium oak are called medullary rays. Far from being a sign of damage or flaws, medullary rays are in fact an indication that the wood been crafted from the finest and most expensive quarter sawn oak. 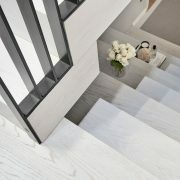 To view a range of our contemporary wood staircase renovations, click here.